Bill Lewis’ practice includes the defense and trial of cases arising from all areas of litigation, including claims of medical malpractice, professional malpractice, nursing home liability, environmental violations, product defects, municipal and premises liability, construction site accidents, elevator defense, defamation, environmental, vehicular negligence, insurance fraud, sexual molestation, asbestos/toxic tort and bad faith claims. He has over 35 years of trial experience in a wide range of civil and criminal litigation. Bill successfully tried the largest environmental/beach erosion case in New York State history. 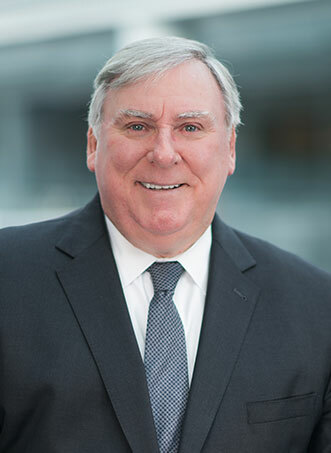 Prior to founding Lewis Johs in 1993, Bill was senior trial partner and head of the Medical Litigation Department at a large national law firm. Prior to that, he was in private practice as trial counsel to the defense industry and served as an Assistant District Attorney in Bronx County. Bill was admitted to the New York State bar in 1972, the United States District Court for the Eastern and Southern Districts of New York in 1976, and the United States Court of Military Appeals and the United States Supreme Court in 1979. He has appeared as a medical litigation expert on an internationally syndicated television talk show, has lectured on burdens of proof in insurance fraud cases, has been a guest lecturer at the American Inns of Court, Nassau County, Roosevelt Chapter, an instructor at the National Institute of Trial Advocacy at Hofstra Law School, and has served as a member of the Board of Ethics for the Town of Hempstead. He has also been published in Medical Malpractice in New York, “Chapter 2: Statutory Laws in Medical Malpractice, New York State Bar Association, 2000.” Bill is a member of the New York State Academy of Trial Lawyers, New York state Trial Lawyers Association and the New York State Bar Association. Bill has been named as one of the tri-state region’s “Best Lawyers” for thirteen years. Additionally, Bill has been selected for inclusion in Super Lawyers for seven consecutive years. Bill Lewis received his Juris Doctor Degree from St. John’s University School of Law simultaneously with his Bachelor of Arts Degree from The City College of the City University of New York in 1971. He received an Associate of Arts Degree from Staten Island Community College in 1967.